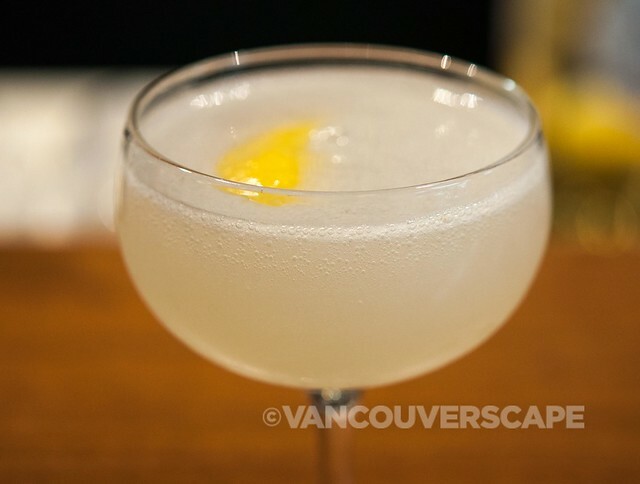 And what better way to celebrate than with a distillery opening right in the heart of Yaletown? 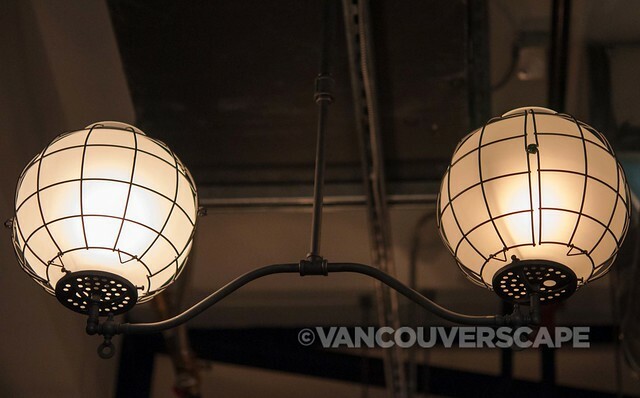 Last night, Yaletown Distilling Company opened its doors for a media preview ahead of a public tasting of their farm-to-bottle gin and vodka, in a well-lit, beautifully designed space adjacent to Yaletown Brewing Company. 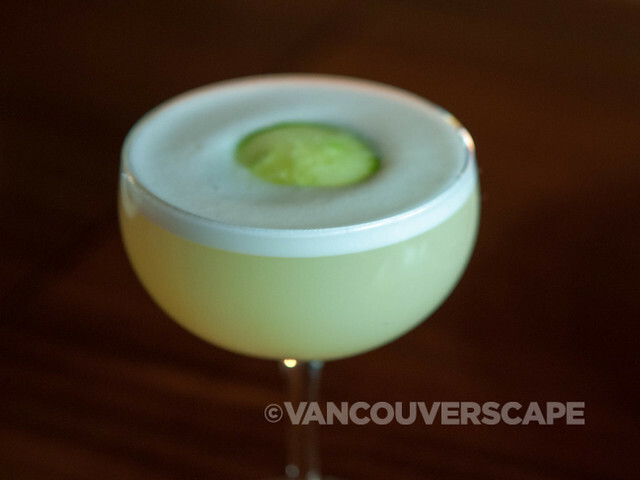 This is the Mark James Group’s latest venture, bringing craft spirit production to Vancouver while utilizing 100% BC ingredients. 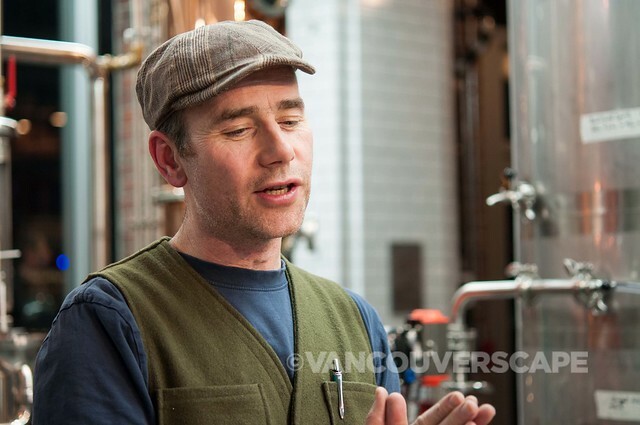 Using BC grain offers a huge tax incentive, explained head brewmaster and distiller Iain Hill. Hill has a biochemistry degree from the University of Victoria. 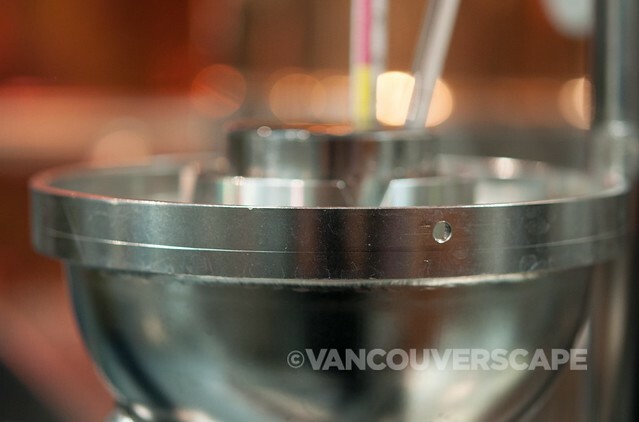 He’s trained in all facets of beer production, and joined the Mark James Group as brewer for Yaletown Brewing in 1995. He later took a distilling course in Arizona, as well as learning the ropes from several German distillers. Through travels in the US, Mark James and Iain began to research the potential for opening a distillery in our neck of the woods. 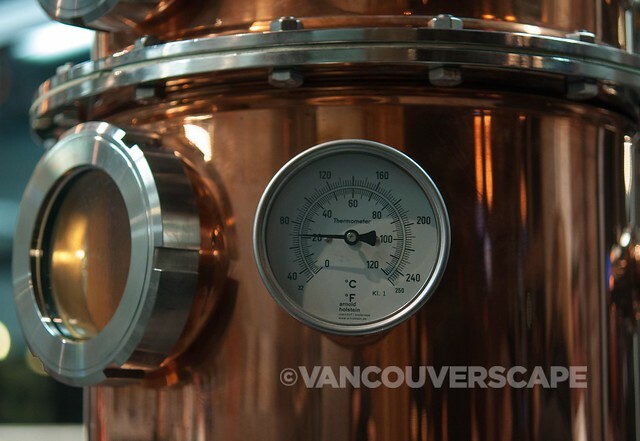 The multi-stage distillation process happens onsite in Yaletown in the SOHO building. Paulies Kitchen and The Distillery Bar (as well as a public tasting room and retail store) are all part of the grand picture. We watched Iain as he explained the workings of the German stainless steel machinery. Learning and experimenting are huge parts of Iain’s job as distiller. 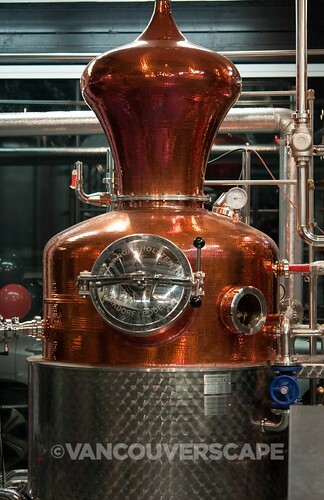 He uses eight different botanicals (including juniper berries, coriander, licorice root, lemon zest, and bitter almonds) in gin’s vapor distillation process, offering a strong finish due to the bitter almonds, defined as a controlled substance and therefore impossible to get in North America, due to containing tiny qualities of cyanide (the Italians have no problem with using bitter almonds in baking). Iain is happy to have this controversial ingredient on hand to add a strong taste to his gin. In one week, six 1,000 litre tanks of vodka are fermented, later collected and put back into the pot, then re-distilled to relieve the substance of undesirable flavours. On average, 500 litres of “sellable-quality” 40% vodka is produced here. Yes, right in the heart of our city. 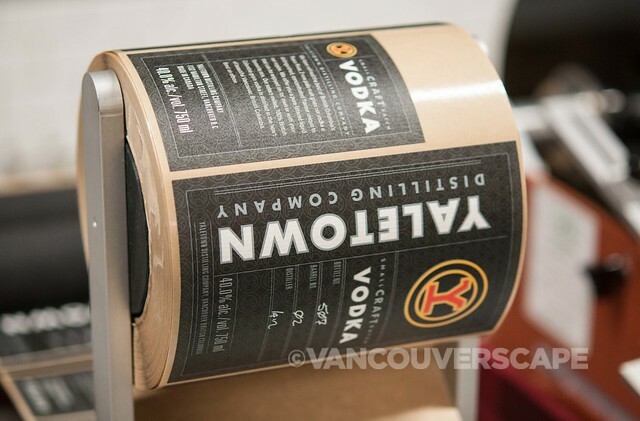 Next up on Yaletown Distilling’s agenda is whisky production (a three-year wait on that, of course). Other products will include grappa, house liqueurs, and eau de vie. 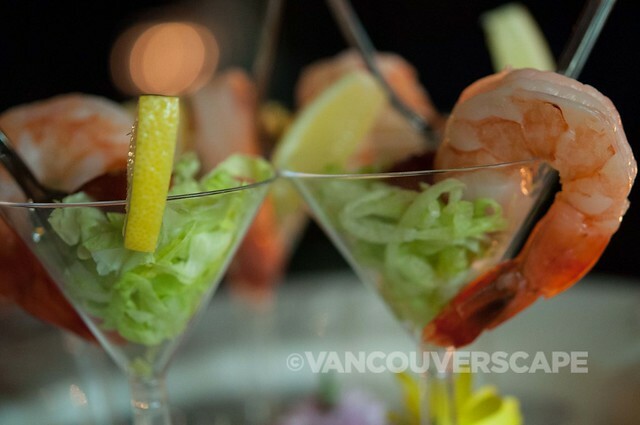 We next headed to the adjacent Distillery Bar and Paulie’s Kitchen for cocktails (designed by bartender Shaun Layton) as well as tasty appetizers. 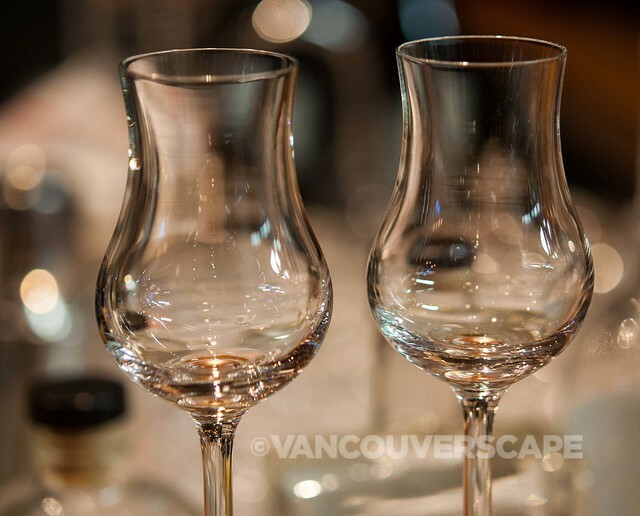 The Yaletown Distilling Company’s tasting room will be open for samplings five days a week. 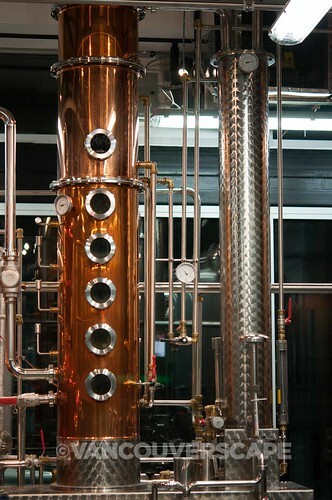 Private tours of the space are available by appointment (by phoning 604.669.2266 or emailing info@yaletowndistilling.com). 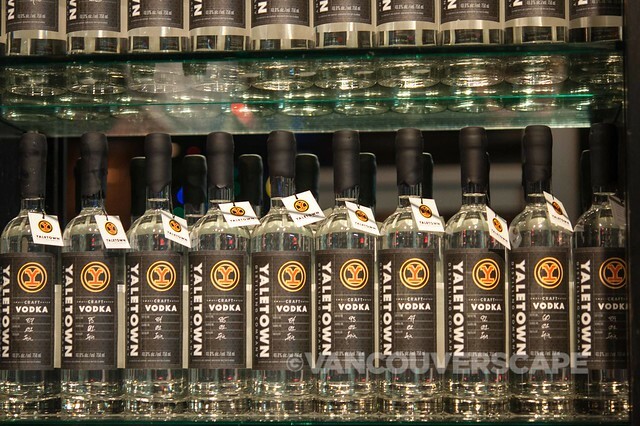 Yaletown Craft Vodka and Yaletown BC Gin (in 375 and 750 ml bottles) will be available exclusively at the distillery retail store, with plans to expand distribution through the BCLDB in the near future. As the website is not yet live, tasting room hours are Tuesday and Wednesday, noon to 5 pm, Thursday, noon to 7 pm, and Friday and Saturday, noon to 10 pm. 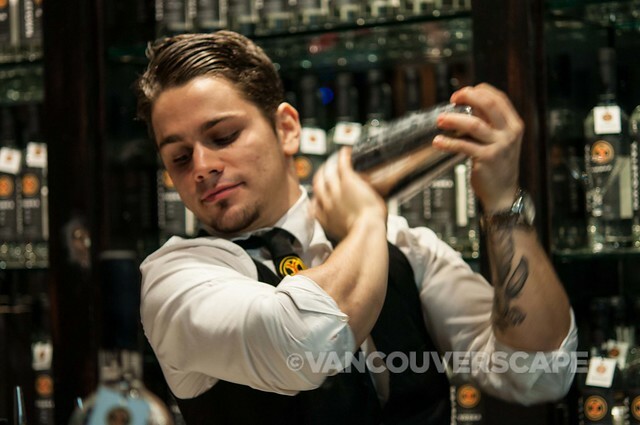 The Yaletown Distilling Company is located at 1132 Hamilton Street in Vancouver.